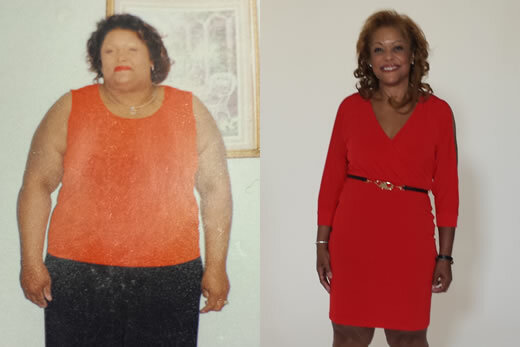 An Atlanta educator and patient at the Emory Bariatric Center at Emory University Hospital Midtown is one of three national winners in a weight loss competition using a meal replacement program, combined with medical monitoring, exercise, support and counseling. After struggling with her weight for years and then reaching 324 pounds on the scale, 5-foot, 3-inch tall Tawni Taylor turned to OPTIFAST, a medically-supervised weight management program that focuses on better health and emotional well being. Making a long-term and life-changing commitment to weight loss, she lost 145 pounds in 10 months. Taylor and two others were winners in the sixth annual OPTIFAST "New You" weight loss contest, losing a combined total of approximately 300 pounds. The three winners were recently flown to New York for a makeover and special dinner to celebrate their accomplishments. "For years, my eating has been so out of control," says Taylor. "I was on a 24/seven see-food diet. Whatever food I saw, I ate. I needed someone to take that away and reset my horrible eating habits. With the OPTIFAST Program, the Emory Bariatric Center team and the support group I attended weekly, I was finally able to make this weight loss journey possible." Between Sept. 2014 and May 2015, Taylor completed three cycles (12 weeks each cycle) of the full-meal replacement program, substituting all meals with OPTIFAST shakes, soups and bars. Because she was making such good progress with her weight loss, Taylor was on the full-meal replacement plan longer than some people choose. "Our medical weight loss programs are not 'one-size-fits-all'," says Arvinpal Singh, MD, medical director of the Emory Bariatric Center. "They are individually designed to meet the metabolic, nutritional, and activity demands of the patient. This optimizes loss of body fat and improvement in health. Through our educational sessions, we teach long-term, sustainable dietary and behavioral changes." Following the drastic weight loss, Taylor was able to come off most of her medications and feels great. She has chosen to stay on a partial meal replacement plan until she looses her final 30 pounds and meets her targeted weight. Full Meal Replacement – patients consume OPTIFAST meal replacements for approximately 12 weeks (may vary by an individual's needs and goals), followed by a gradual transition back to food. Partial Meal Replacement – patients select three OPTIFAST meal replacements per day and add in some of their own food and recipes. No Meal Replacement – patients use their own food and recipes, with no meal replacements, as guided by the patient's weight loss physician and dietician. All patients in the program meet with an Emory Bariatric Center physician and have one-on-one consultations with one of the center's registered dietitians. Patients also attend regular lifestyle education group meetings to keep them motivated and focused on their weight loss goals. For every five percent of body weight lost, participants receive bracelets imprinted with encouraging words. Throughout the program, they also undergo body composition studies. "With the help of education, counseling and support from other patients on similar weight loss paths, it's amazing to see our patients improve not only their overall health, but also their quality of life," says Meagan Moyer, registered dietitian with the Emory Bariatric Center. Once the meal plan portion of the program is over, participants are strongly encouraged to continue attending lifestyle education groups indefinitely. Research indicates that those who continue attending support groups after completing a weight loss program are able to maintain their weight loss better than those who do not. Learning the transition from the meal plan program to how to shop, cook and eat healthy in everyday life leads to long-term weight loss success.